Get my No.1 Tool for Successful Communications! Whatever your goal is, using an integrated communications approach will mean that your message comes through loud and clear. If you are targeted in your message placement, your ideal customer won't be able to avoid absorbing your message, and if you are strategic in your message, each time they hear it they will feel a little bit more connected to your brand. Don't miss out on this fantastic FREE guide to your brand communication strategy! Sign up below! Download my No. 1 Tool for Strategic Communications! 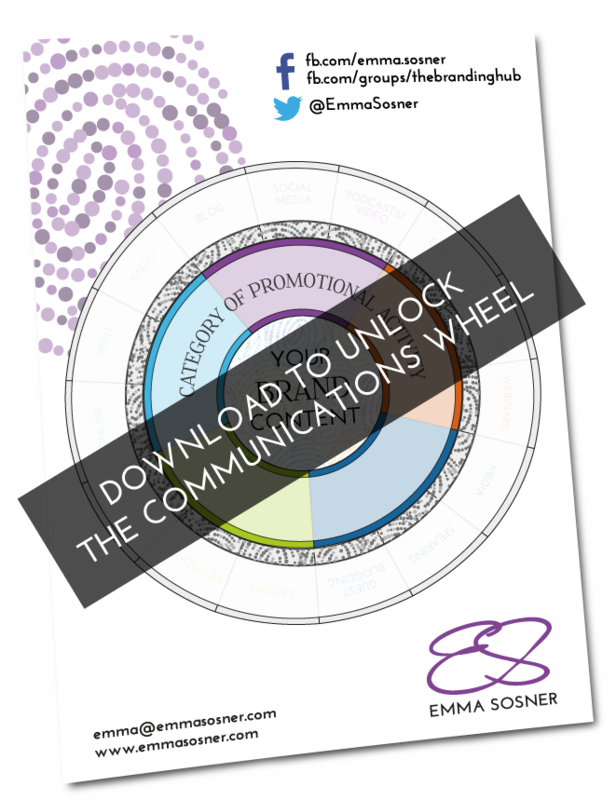 Get your hands on my Comms Wheel and get ready to see immediate results with your next strategically planned campaign! Give me my Comms Wheel! Maybe you and I should talk! Schedule a Power Consultation and you will have my undivided attention for 45 minutes whilst we work through whatever it is that is holding you back.